Looks like we are right around the bend from the doubles tournament championships. Few things I might like to know. 2- Anyone interested in playing in a certain color shirt and pants so we can make FWB presence felt? 3- How many will be staying in a hotel? If there are enough of us I can look for a hotel that will offer us a group discount room rate? I will ask ECDGC if they are interested in joining up together for this event as our brother Club and bring home as many places as possible to Florida. We appreciate everything the ECDGC does and enjoy oh so much all the help they offer, however the PDGC is our own club and we were not formed by the ECDGC. The ECDGC is an absolutely amazing group of people and contributes a lot to the fabulous growing sport of disc golf, however, we are two separate clubs. 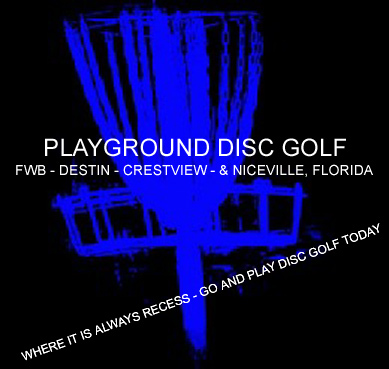 As awesome and helpful as the ECDGC is, the PDGC is not a product of the ECDGC... We enjoy working with them any chance we get and teaming up to bring Florida the W's will be awesome I'm sure. I will see some of ya'll out there this weekend. Steve, we got our room at the Microtel (Party Central ) for Sat nite. After a long day of golf? and the Shed? Count me in!! g-bain an tim"sykes"gerow are teamed up for adv.